Did you know that Benjamin Franklin was responsible for setting up the first fire company in Philadelphia? On a visit to see his family Boston, he observed that Bostonians were much better equipped to fight fires and save lives than the people of Philadelphia. According to the website, ushistory.org, after consulting with civic leaders in Philadelphia, he gathered 30 young men together to form the Union Fire Company on December 7, 1736. These men had special equipment provided by the community, and they began meeting regularly to practice their techniques and discuss successful firefighting procedures. That’s why the Pennsylvania State House also took some time this week to recognize National Fire Prevention Week. According to State Senator Rob Teplitz, the week commemorates the Great Chicago Fire of 1871 and was first designated in 1920. It is still unclear how the devastating fire in Chicago got started, but it burned for two days, destroyed 3.3 square miles of the city’s central business district, killed up to 300 people and left more than 100,000 residents homeless. In 1920, officials decided that such a massive disaster deserved the be remembered in a way that could help everyone learn more about fire safety and prevention and President Woodrow Wilson released the first National Fire Prevention Week Proclamation. Appropriately, this year’s theme is “Smoke alarms save lives: Test yours every month.” As Franklin surely knew when warning about embers in an open shovel, home fire deaths are preventable but require residents to take care. We no longer worry about lost embers, but we must test our smoke alarms regularly and change the batteries twice a year. As Franklin writes in 1735, “In the first Place, as an Ounce of Prevention is worth a Pound of Cure” we must all be vigilant against the dangers of fire. We remember terrible disasters like the Chicago fire by taking the time to remind ourselves of this basic truth. Check your batteries, everyone! Take the time to practice an escape route from your home. And don’t carry those embers in an open shovel. Although I’ve only been interning with the Red Cross Communications team for several weeks, I have already gained an entirely new perspective on both this community and providing assistance to those in need. The future of the Red Cross is dependent on volunteers who recognize the importance of this organization and then donate their efforts towards fulfilling its mission. 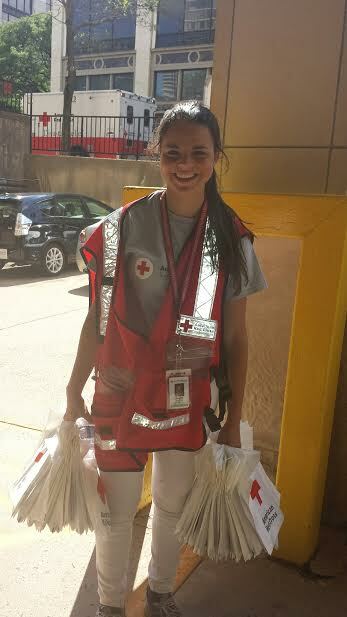 During my time at the Red Cross, I have had the opportunity to assist outside of the office. One day, I hope to be part of the Disaster Action team and respond to local disasters. So far, the closest that I have come to disaster response is participating in Red Cross Fire Safety Walkthroughs. During Fire Safety Walkthroughs, Red Cross workers distribute fire safety materials, such as educational materials as well as a 9-volt battery for smoke detectors. The educational material comes in multiple languages and provides individuals with information on how to prevent a fire, making an escape plan and pet fire safety. In the past several weeks, I’ve participated in Fire Safety Walkthroughs in the two communities surrounding the fatal fires at Gesner Street and North Sixth Street. When fire suddenly destroys homes and claims the lives of community members, the scene is always very sensitive. It has been difficult to see the tremendous toll these disasters have on communities. As we made our way up and down the streets, I did my best to be respectful to people’s properties, especially the homes where the fires occurred. When I am in the office, I work with both internal and external means of communication to keep the general public as well as Red Cross employees and volunteers informed about what is going on in the community and the office. I really value working beside and learning from my manager, Sara, and the rest of the Communications department. Our many responsibilities have so much purpose, which causes me to constantly look forward to my time here. This branch of the Red Cross employs many friendly and intelligent people. I’ve received nothing but a warm welcome to this team. The Red Cross never stops responding, so as long as I’m here I’m sure I will be kept busy by providing the community with the information they need to stay informed and safe. If you are interested in volunteering with the American Red Cross, click here. Does your home have a working fire alarm? Do you have an escape plan in the event of a fire? Did you remember to turn off the stove? Growing up in the suburbs near Trenton, New Jersey, I found questions like this a nuisance because fires in my area were a rare event. It was not until I began school at Temple University that I started to appreciate why my school engraved fire safety tips into our minds. During my years at Temple, I would often hear a sound unfamiliar to me when I lived in the suburbs; the sound of a fire truck siren. To my surprise, it was not uncommon to see a fire truck racing down Broad Street three, four times a week. 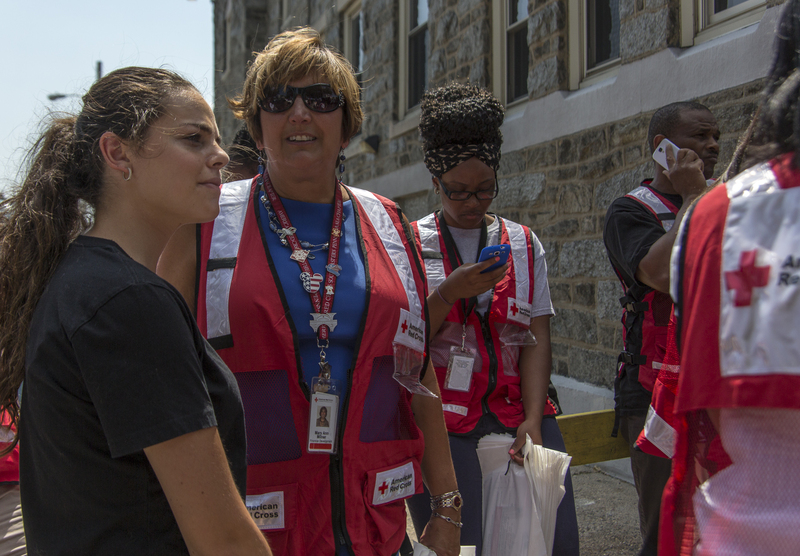 Now, working at the Red Cross as an AmeriCorps NPRC member, I’ve seen first-hand the effects of fires on the people of Philadelphia and the importance of fire safety. September was National Preparedness Month, and one of the things we all need to prepare for is fires. Fire is an unforgiving chemical process that will continue to spread and be fatal if not accounted for. Of the 74,000 disasters Red Cross responded to this past year, 93 percent of them were fire related. In fact, fire kills more Americans each year then all the natural disasters combined. 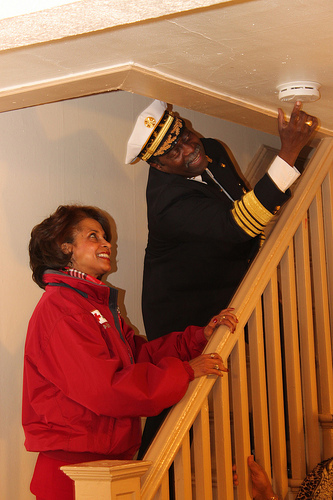 As National Fire Safety Month begins, it is essential for everyone to take steps to help protect their homes and the people they care about. Common house hold items are often a source of fire; anything from the stove in the kitchen to the space heater used to warm up the house during those cold winter nights are all potential fire hazards. Even things we cannot see like the wiring behind the wall can cause fires. It is important to learn more about these items in order to prevent fires from occurring. The most important way to help save lives in the event of a fire is that first alert to a problem. 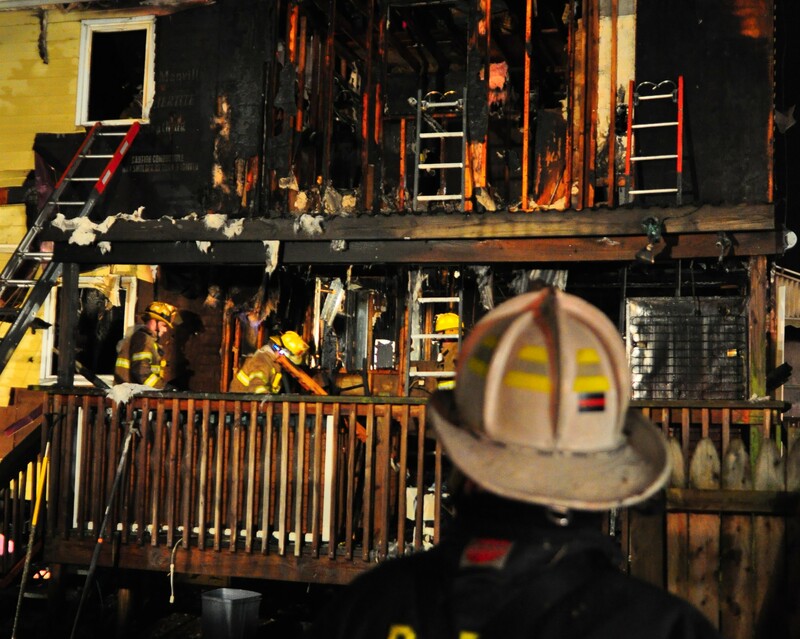 This is why it is essential to install and maintain all smoke alarms throughout the house. Smoke alarms can help notify people a fire is occurring and help them escape before the fire spreads to all available exits in the house. The next thing you must do is have and practice your escape plan. In fact, the Red Cross recommends having at least two ways out of every room in your house. At Temple, that meant investing in a fire ladder for myself. My second way out was through a third story window, so I had a ladder ready, just in case. Preparing and planning for fires can protect what you love most. Please take the time to visit http://www.redcross.org/prepare/disaster/home-fire to learn more about fires in order to prevent them and prepare for them in the event that a fire does occur in your home. VLOG: A Simple Step to Save Your Life. It takes 30 seconds, a minute… maybe 5 minutes if you need a ladder and maybe a full 30 minutes if it means a trip to the store to purchase a new one… but checking and replacing the battery in your smoke alarm can SAVE YOUR LIFE. 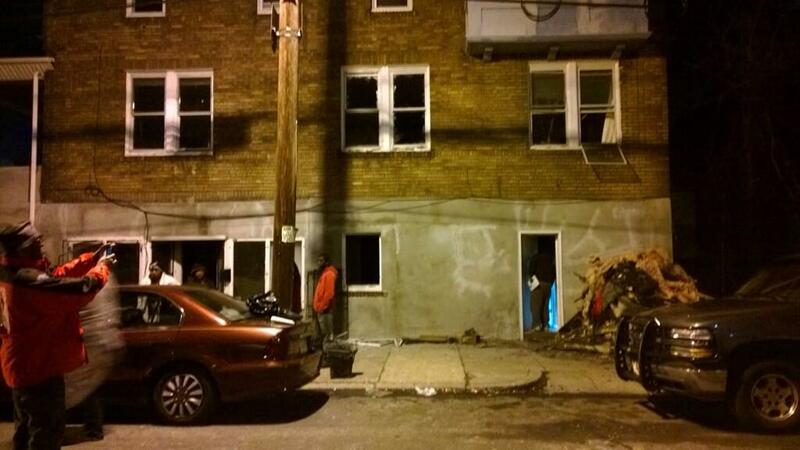 At a recent fatal fire response, we were reminded how important these short minutes can be.